Want To Sell Your House Fast? We Buy Mesa Houses Directly From Homeowners. And You Don’t Have To Do Any Repairs Before Selling It To Us. Because Our Crews Do All Repairs, Remodeling, And Cleaning. Read More About How We Buy Houses Here. We Can Close As Soon As Next Week And You Can Walk Away With A Fat Check. No obligation. No hassles. No fees. So you can sell my house fast. Imagine as fast as next week walking out of closing with your house sold and cash in your pocket. That’ll feel great. 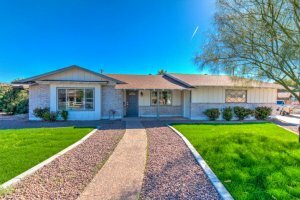 Want To Sell My House Fast In Mesa, AZ? We help property owners just like you, in all kinds of situations. From divorce, foreclosure, death of a family member, burdensome rental property, and all kinds of other situations. We buy houses in Mesa and surrounding areas and pay a fair cash price, fast. So you can sell my house fast.